Printing on wood might sound like a crazy notion at first, but trust me, it’s one of the best ways for you to display your precious memories. 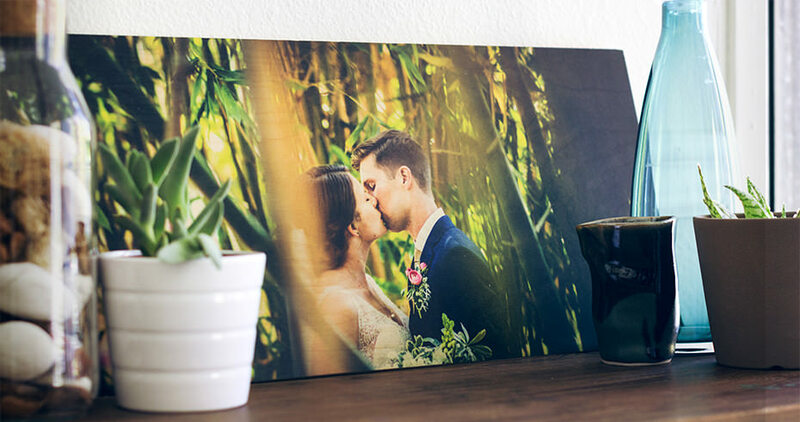 Consider this: printing on wood gets you clear, vibrant prints with incredible depth of detail and color, especially if you order your products from WoodSnap. There is a quality to WoodSnap’s products that is simply unparalleled in the industry. You can tell immediately upon opening your item that WoodSnap’s craftsmen took time and care in manufacturing your print, framed print, or other unique wood-based product. Wood coasters are a great way to add a cool feature to your tables, but also protect your tables from damage from drinks. 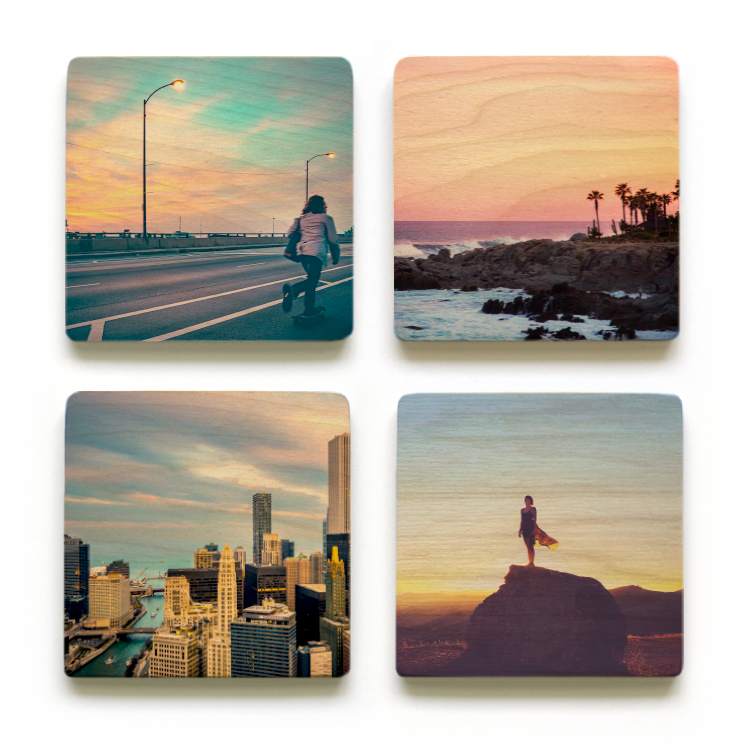 With a set of four coasters, you can display four different photos or create a mosaic effect with all four coasters comprising a single, larger image. 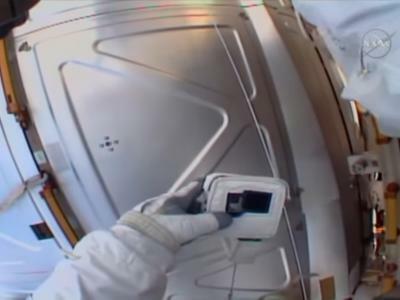 Each coaster has smooth, rounded edges and an extra coating to ensure long-term durability as well. Though wood prints look great on their own, you can add an extra touch of class by having the print wrapped in a handcrafted Italian frame. 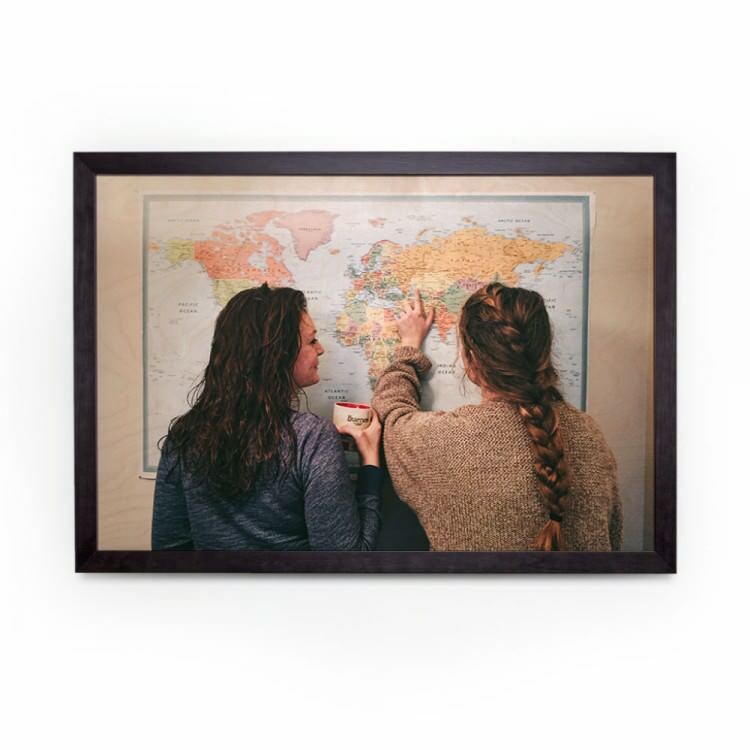 Trimmed in a solid wood frame, your wood print takes on a whole other level of beauty. Give your prints - from 8x8” to 30x40” that extra WOW factor with a black or walnut brown frame that compliments the beauty of your photos in the best possible way. 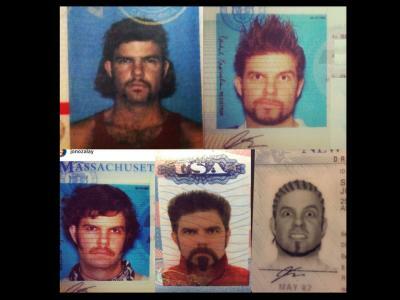 Who says you can’t immortalize your photos in a way that’s also utilitarian? 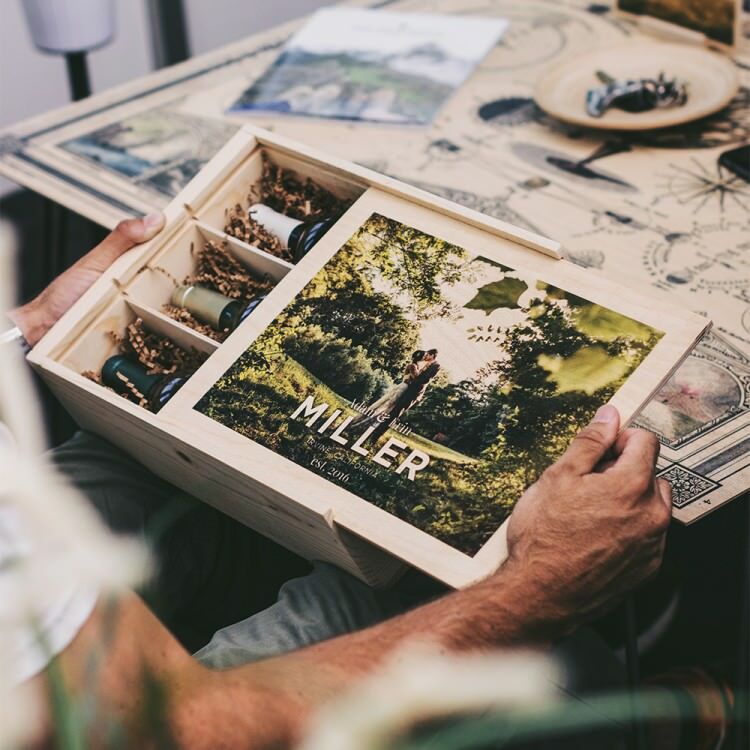 Upload your favorite image to be printed on the lid of a handy WoodSnap Wine Box. Each box is made of premium baltic birch and western pine for lasting durability. Slide the photo-covered lid away and reveal three compartments perfectly sized for a standard 750 ml bottle. Don’t limit yourself to wine storage, however. You can use the box for storing other beverages, knick knacks, or keepsakes too. 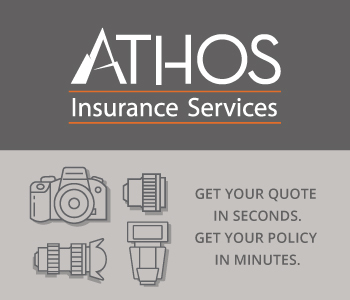 Giving the gift of a photo is one thing. Giving the gift of a photo printed on wood is another thing entirely. The unique wooden canvas makes your memories shine in a way that just can’t be achieved with traditional paper prints. And, with WoodSnap’s revolutionary printing technique that binds ink directly to the wood, you’ll have a product that you know will stand the test of time. Whether it’s a wood print, a set of coasters, a framed wood print, a wood wine box, or one of WoodSnap’s other high-quality products, you know that with the 100% love guarantee that you’ll be satisfied! 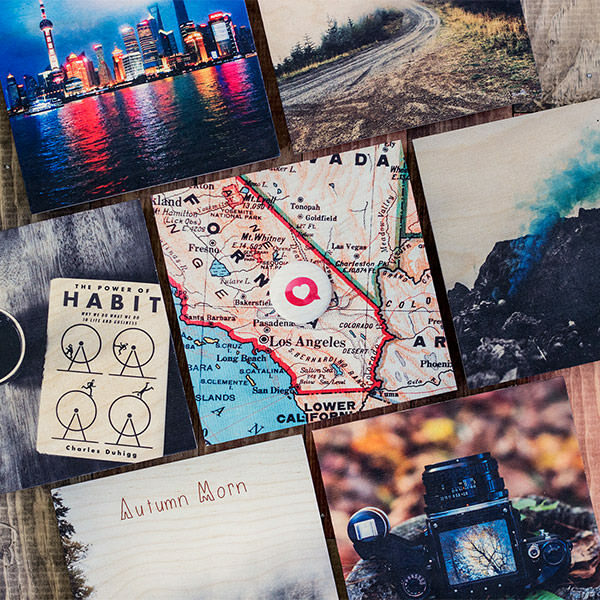 Check out WoodSnap today and see why wood is the hot, new photo printing material for 2016 and beyond.